We thought it would probably be useful to give a rundown of exactly what equipment we’ll be using for these Brew in a Bag beers. First off, here’s a picture. We’re pretty sure that’s all the equipment we should need to make all grain beer in a single, space-saving pot. As we have next to no idea of what we’re doing though, there will be plenty of trial and, especially, error as we go along. We’ll try to document it here. 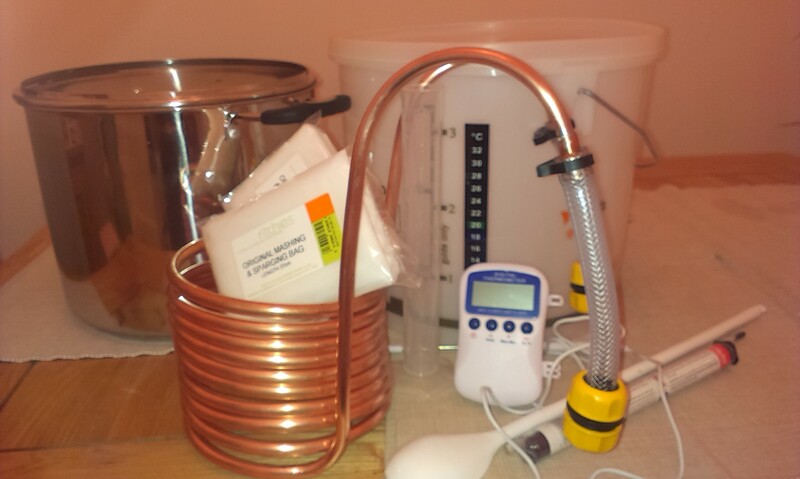 First brew on 24th January, 2014. Update to follow shortly after. This entry was posted in Uncategorized and tagged BIAB, homebrew on January 23, 2014 by bagboilbeer.